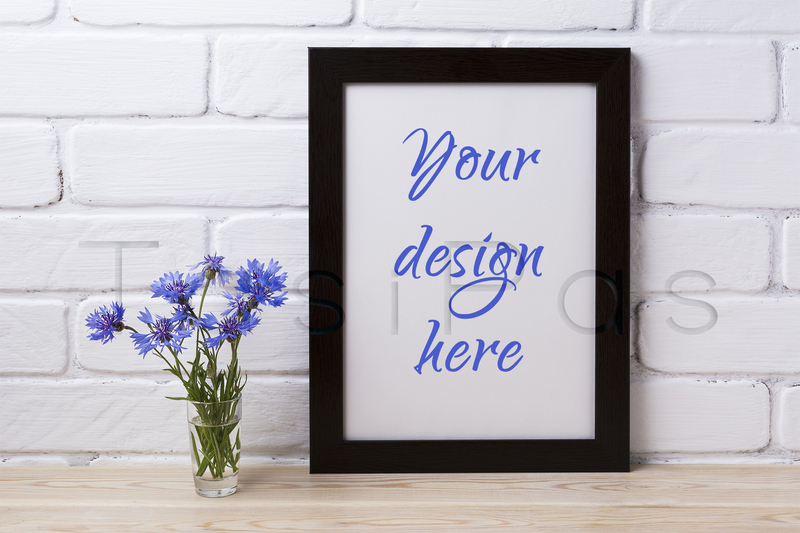 Black brown poster frame mockup with cornflower. Black brown frame mockup with blue cornflower in the simple glass vase. Empty frame mock up for presentation design. Template framing for modern art.